Country home in exceptional nature-filled lot just 30 min from Hudson. Mn flr fam rm & LDRY with fin rec rm in LL. 2 car gar +3 stall ins gar. 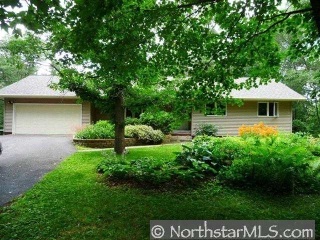 Beautiful mature oak & maple forest w/ open private backyard gardens. New siding, roof, & deck. Move right in!